Kent Ingram had been chasing the hyperfold for decades. The first time he encountered it was in 1916 during the Battle of Jutland. The HMS Indefatigable exploded, German shells having penetrated her ammunition magazine, but instead of being thrown over the railing, he fell into what looked like a large, misshapen bubble…and found himself in Springfield, Missouri in the U.S. The year was 1894. Since then, it had appeared randomly in his life, sending him from one place, one time to the next. The last time was Los Angeles, California in 1980. After five years, he got tired of waiting, and, with his accumulated knowledge, established a life, married, and had children. They had a home outside of Shasta, plenty of countryside for the kids. “We’re out of bubbles.” Five-year-old Emily held up her wand in one hand and the empty soap container in the other. “Me first,” Emily demanded as she ran toward him. 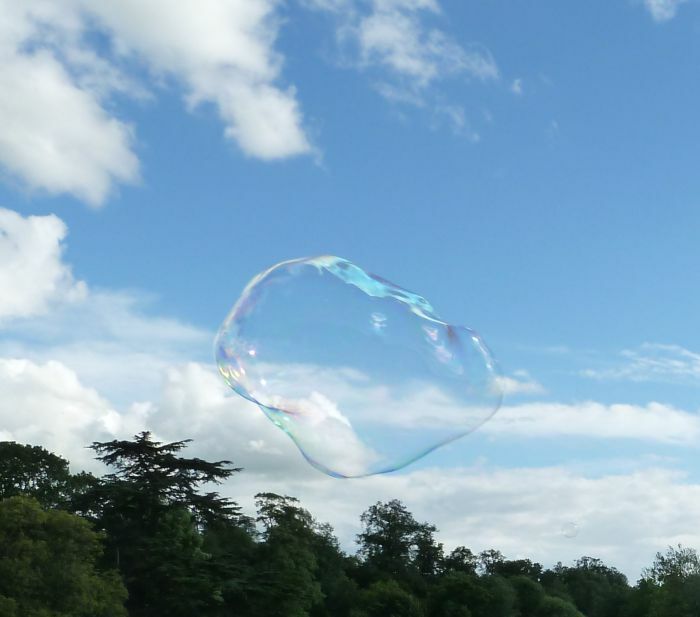 “Finders keepers,” Todd laughed and then blew a large bubble that continued to expand until it looked very familiar to Kent. But should he step through this time? I wrote this for Week 35 of the Flash Fiction for the Purposeful Practitioner photo challenge hosted by Roger Shipp. The idea is to use the image above as the inspiration to craft a piece of flash fiction no more than 200 words long. My word count is 199. I’ve written before about time travel and mysterious portals, and the bubble in the photo seemed to fit the bill. I had to look up 10 Significant Battles of the First World War (The Battle of Jutland was number three) and do a little bit of Googling, but otherwise the story wrote itself.